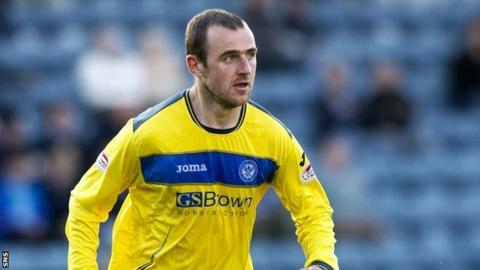 St Johnstone defender Dave Mackay has signed a two-year extension to his current contract with the Perth club. The new deal will keep the Saints captain in Perth until May 2015. Mackay joined Saints in the summer of 2009 from Livingston along with midfielder Murray Davidson, and has made more than 140 appearances. "Delighted to sign my new contract with St Johnstone which will keep me at the club for at least another two seasons," Mackay said on Twitter.